Two Minneapolis events are looking to put Minnesota on the map for Black hair and beauty. This is no small feat for Minnesota, which is often referred to as a “flyover” state when it comes to major beauty brands and products for African Americans and other people of color. However, Shades of Beauty Expo and Twin Cities Natural Hair & Beauty Show are changing that with their groundbreaking events bringing together Black women and men to celebrate not just hair and beauty, but also health, wellness and community. 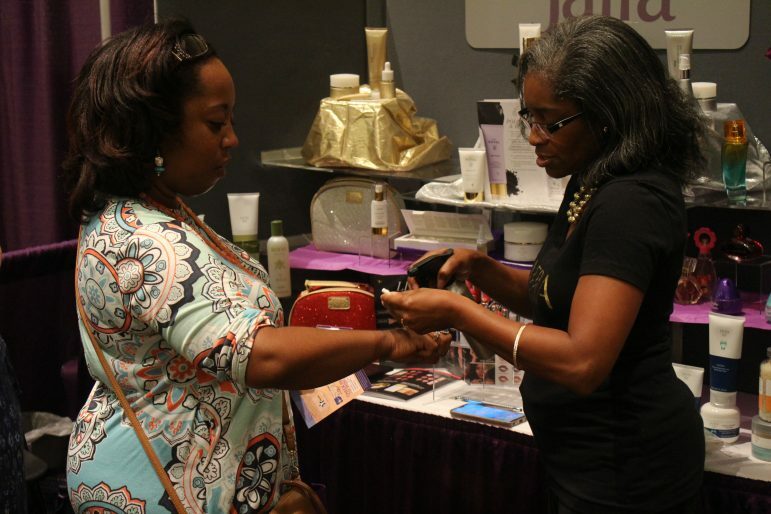 Nearly a thousand beauty lovers streamed through the separate events to get the latest and greatest on products and deals on hair and beauty must-haves from local and national vendors, as well as to connect with like-minded attendees. 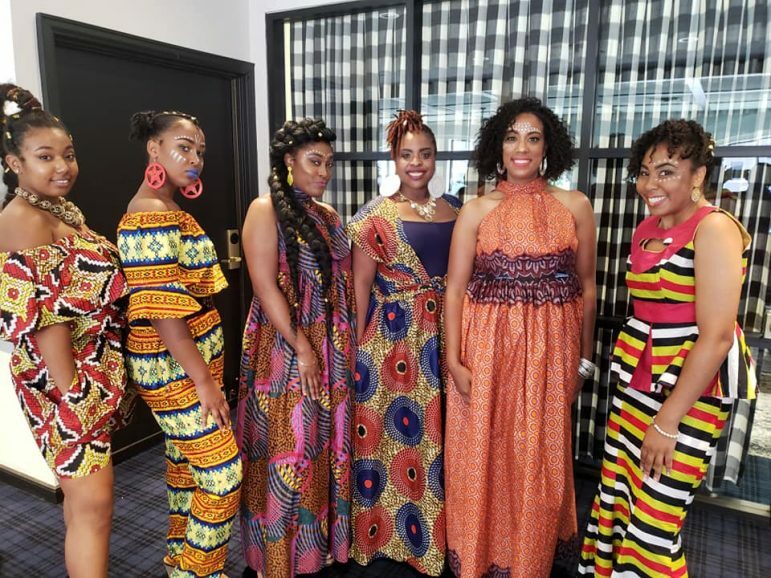 The third annual Shades of Beauty Expo (SOBE) kicked off Saturday, August 11 with an “Ambassadors of Beauty Brunch” featuring Dr. Reatha Clark-King while celebrating Twin Cities’ leaders who are helping to empower and educate women and girls of color. The afternoon’s events and panels featured a diverse array of people of color-focused health and beauty professionals and brands. Topics explored included fashion and the power of color, radical self-care and transformative healing, healthy eating, fitness, next level natural hair with Minneapolis’ own Beauty Lounge, and a fashion show produced by local hair extensions company HBW Extensions. On Sunday, the second annual Twin Cities Hair and Beauty Expo (TCHBE) hosted its own celebration of Black beauty featuring keynote speaker and founder of Natural Woman magazine, Azizah Nubia, along with panel discussions and on-stage demos focused on natural hair and wellness. The expo also included a Men’s Cave highlighting the resurging movement of Black men rocking beards and embracing self-care, featuring Houston White, owner of HWMR, a Minneapolis-based barber shop boutique, and brains behind the Black Excellence movement, and Mike McMillan, founder of Beard Game Matters. Vendors and speakers traveling from Chicago, Milwaukee, St. Louis, Iowa, North Carolina and New York were surprised by Minneapolis’ increasingly diverse community. Tephanie Delaney, co-founder of TCHBE, said Mike McMillan, who hails from Greensboro, N.C., was one of them. Hosting such beauty events not only puts Minnesota into a playing position to reap the benefits of $445 billion beauty industry (Black women spend $2 billion alone on hair care), but also creates a place for women to discover and try out new indie brands and become more intentional about the products they purchase and use on their hair and skin. While Black women outspend their counterparts nine to one in ethnic hair care products and are the major influencers when it comes to spending, research continues to show that Black hair products and cosmetics are some of the most toxic on the market. A 2016 report by Black Women for Wellness revealed that many of our hair-care products cause early-onset puberty, as well as respiratory and reproductive issues. In May 2018, a new report, “Measurement of endocrine disrupting and asthma-associated chemicals in hair products used by Black women,” found chemicals in 18 commonly used hair products – including hot oil treatments, leave-in conditioners, relaxers and hair lotion – that have been linked to asthma and hormone disruption. Eighty-four percent of those detected chemicals weren’t even listed on the product labels. “It’s important for us to learn that how we straighten or how we do our hair matters,” said Sherryln Thompson, SOBE founder and producer. “That’s why we have so many instances of fibroids and different cancers…because we have tried to subscribe to this European standard of beauty. “I think events such as this help us find a place where we can find ourselves and find the people that look like us so that we can feel like we do have a family here,” Thompson said. More than just weekend gatherings, the events also help change the narrative around beauty. “For so long, we have been left out of the discussion of what beauty looks like,” said Thompson. “We have been given image after image of blonde hair and blue eyes as a stereotype of beauty. And, when we don’t see ourselves reflected in that anywhere, then we tend to take a self-esteem hit and start to believe the hype that we are not worthy, that we’re not beautiful. New York-based celeb stylist Monae Everett echoed those sentiments: “We have to tell our own stories. We have to create our own parameters, and we have to uplift and show each other what it’s like to be beautiful,” said Everett, who spoke on a TCHBE panel. For more information on the Shades of Beauty Expo, visit shadesofbeautyexpo.com. For more information on the Twin Cities Natural Hair Expo, visit mnnaturalhairexpo.com. Hello and thank you for this article. I look forward to your on-going coverage of these topics and the knowledge, insights, and resources that you are spreading and sharing. I am also inspired and motivated to get involved NOW for new year! Thanks, again!